Always the innovator, we test our parts all over the country in numerous environments to bring you the best parts! Our ideas are our original designs, not copies... Through feedback from our customers and from our own experiences we are proud to release our GEN II 100% bolt-on tubular fenders. 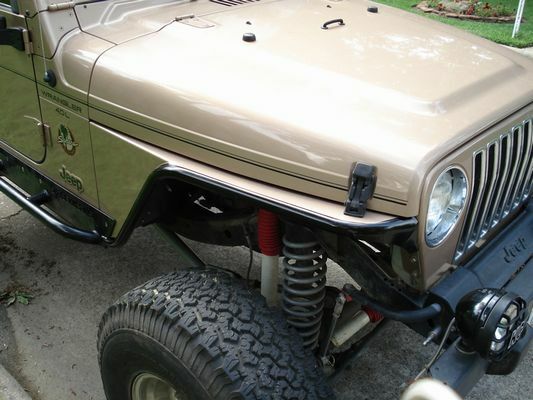 The changes to these fenders are subtle, most won't even recognize them - but they're there. We now include a full replacement battery tray and for the first time a package tray for the drivers side, perfect for mounting your ARB compressor. The wheel opening has gotten larger by making changes to the construction and assembly of the fenders. With these subtle changes we've made the "other guy's" high fender kit obsolete. 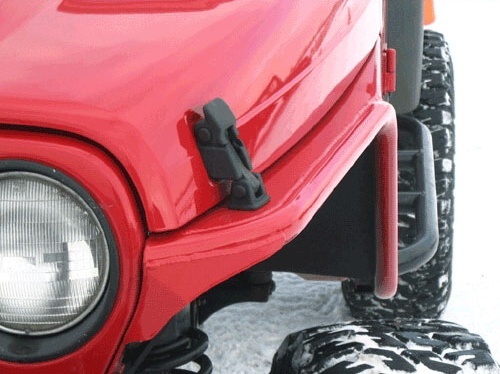 TNT's Phantom Fender is a sleek full replacement tube fender designed to handle off-road abuse and give your Jeep® TJ or LJ that bold look you desire or the boulder strewn trail clearance you need. Our original aggressive design, allows for an increase of more than 2" to the rear of the wheel well and less coverage interference from a standard tube fender or tube fender with flare. Big tires welcome! We put our dollars into R&D not advertizing. Our parts are tested and work in real world. 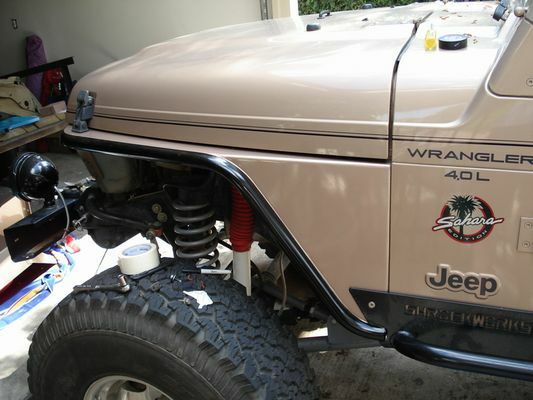 Full one-piece, 100% bolt - on replacement part, take your stock fenders off and put ours on. No cutting, cussing involved. The other guys claim an enlarged wheel well opening, ours truly do. We move the rear of the wheel well opening over 2" closer to the firewall to actually give you the largest wheel opening possible. We remove the factory fender to firewall brace to accomplish this, the others maintain this bracket so how are their wheel openings bigger? They're not. 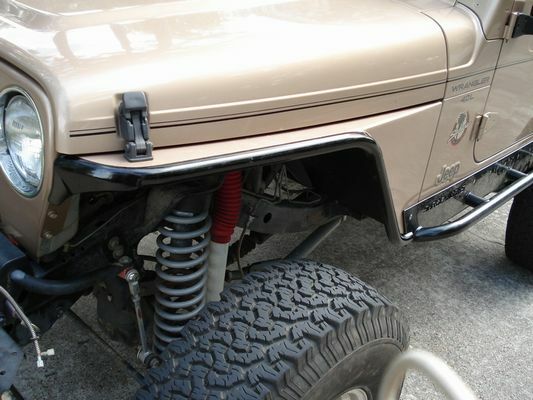 TNT full replacement tube fenders do allow for the use of all stock under-the-hood accessories. Once the fenders are installed the components will tell you where they need to go. Every popular model (base to Rubicon) has been tested and can be done with no more than simple hand tools and a drill. When installing our fenders you will be required to use our battery tray (included). With moving the wheel opening further rearward in our GEN II fenders we had to make some concessions on the mounting position of the battery. It's still in the the stock location but is mounted on a slight angle. As and added bonus our GEN II fenders now ship with a package tray for the drivers side to allow mounting of aftermarket accessories such as an ARB compressor. We are punching the small ARB compressor mounting bolt pattern in the trays to minimize your install time. NOTE: Use of an aftermarket air intake system is required. The factory air box will not fit after the installation of our fenders.